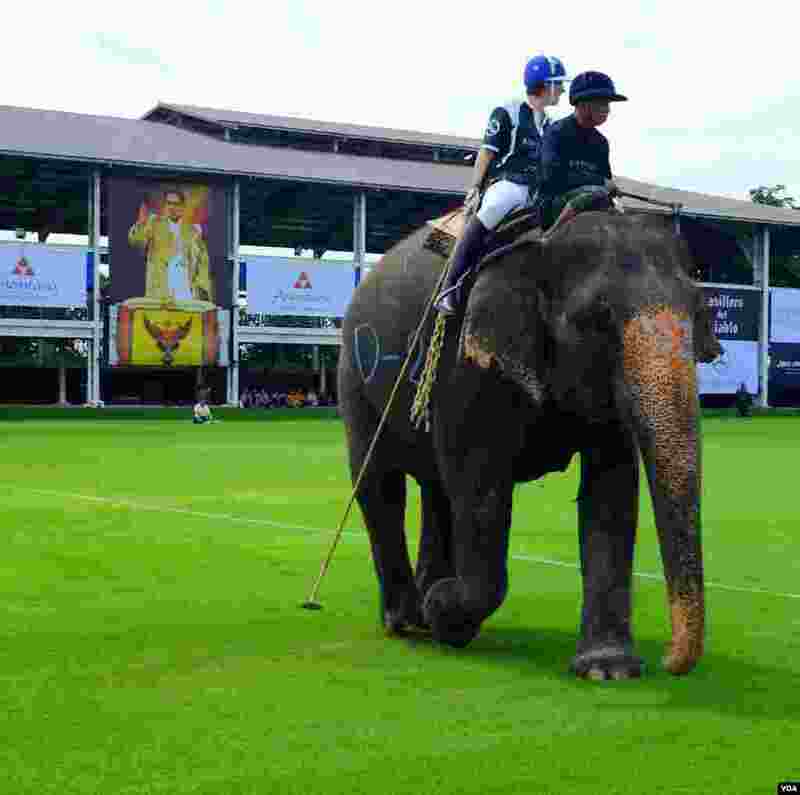 Polo, the ancient team competition typically played on horseback, is known as the “sport of kings.” However, the royal version for one annual event, now underway in Thailand, swaps the horse for the kingdom’s national symbol - the elephant. 5 The stick for elephant polo measures two meters long, 2014 King's Cup Elephant Polo Tournament in Samut Prakan province, on the outskirts of Bangkok, Aug. 28, 2014. (Steve Herman/VOA). 6 A monk blesses the elephants prior to the start of the polo match, 2014 King's Cup Elephant Polo Tournament in Samut Prakan province, on the outskirts of Bangkok, Aug. 28, 2014. (Steve Herman/VOA). 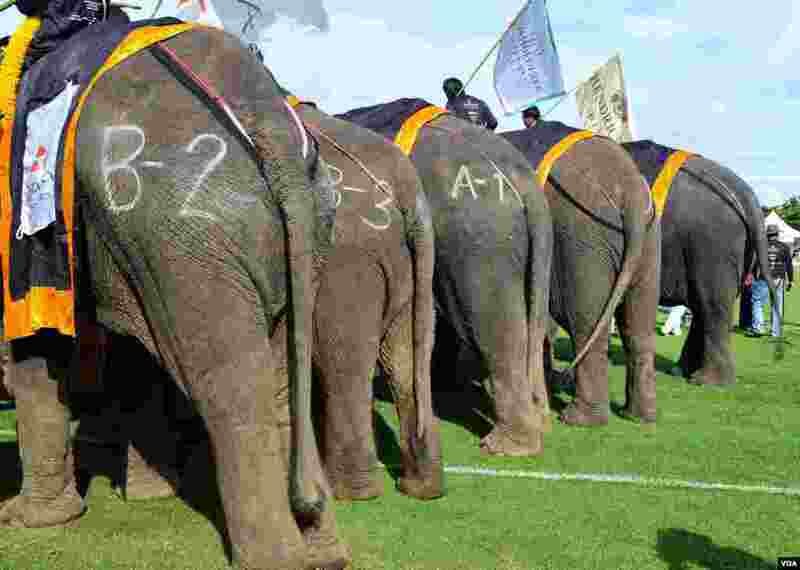 7 This year's lineup is composed of 51 elephants, all relatively docile teenage females, 2014 King's Cup Elephant Polo Tournament in Samut Prakan province, on the outskirts of Bangkok, Aug. 28, 2014. (Steve Herman/VOA). 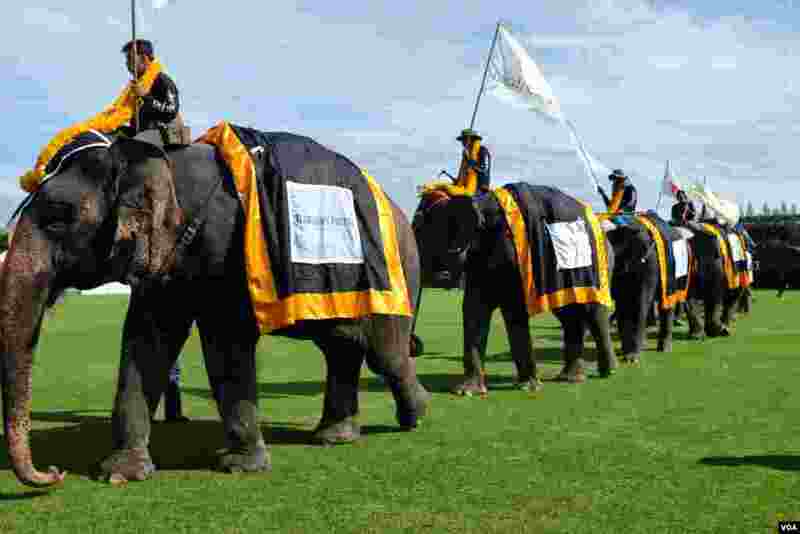 8 The female teenage pachyderms on parade prior to the start of the annual polo event, 2014 King's Cup Elephant Polo Tournament in Samut Prakan province, on the outskirts of Bangkok, Aug. 28, 2014. (Steve Herman/VOA).